One of the best ways I have found to save money is to make your own everything! Really! And not everything is time intensive. Believe it or not just about everything can be made at home. Homemade powdered laundry detergent is easy, earth friendly, and inexpensive. It only takes minutes and with a 2T serving per load a small amount goes a long way. Store bought green and eco-friendly products can be expensive, making your own takes all the expense out of it. Not only that, but you know exactly what the ingredients are. All you need is 3 ingredients, 1 bar of soap (I used Kirk’s Castile Soap*), Washing Soda and Borax. You can find Washing Soda and Borax right next to the big sized box of baking soda in the cleaning supplies section at your local store. Both products are great for using in homemade cleaners to make your house sparkle. Add just 2 Tablespoons per load. Feel free to include a few drops of essential oil to your washing water in order to kill dust mites, or viruses. The best essential oils to add would be lavender, eucalyptus, tea tree oil, and rosemary. *One of the best and most inexpensive places I have found to purchase Kirk’s is Vitacost.com. Click the referral link here and get $10 off your first order! I am my mother’s daughter when it comes to keeping a clean house and this all natural tub cleaner paste leaves no exception. My home hasn’t been quite as clean as I would have liked ever since my third was born last spring, but I am hoping to get back to my clean, tidy home very soon. Cleanliness and organization gives me a sense of peace. I feel as though I can relax more easily and get more work done when my home is clean and picked up. Over the past several years I have made the change from traditional household chemical based cleaners to making my own. For the last few years I have made my cleaners mostly with vinegar, water, and baking soda. These methods have worked fairly well, I feel like my home has been getting clean, but I sometimes I desire a deeper clean, something much more powerful than the easy vinegar and water cleansers. For the past year and a half I have been taking a program for the Family Herbalist certification from Vintage Remedies School of Natural Health. I am so excited to announce that I am about to take my final tests during the next couple of days in order to finish up the course. Yay for the completion of this certification, I have learned so much from it! One of the last lessons in the course was about creating your own natural cleaners and beauty products (including an all natural tub cleaner). There are also some really great recipes to try for natural cleaners as well as encouragement to craft your own. 1. To Eliminate Toxins in my Home: Chemical cleaners have many toxins that include hormone disrupters and pesticides. Riding your home of these cleaners can be important for improving your health since many of these toxic chemicals have been proven to cause cancers and other health disruptions. 2. To Save Money: I was formally an avid couponer until I realized how much processed foods contained sugar and other toxic additives that can be detrimental to your health. You can find many coupons for home cleaning products found in stores, but they can still be expensive. Purchasing green cleaning products can be even more expensive not to mention that you have to label read intensively since some green cleaners still contain toxic chemicals. However, making your own can be fun and easy. Vinegar, water, baking soda and other natural agents are easy on the pocket book and go a long way. The recipe that I found for the most amazing tub cleaner ever was found in my Vintage Remedies School of Natural Health classes. I adapted the recipe a little bit in order to use products that I already had in the home. My tub really is cleaner than it has ever been and I will be using this kickin’ cleaner from now on. This cleaner really is better than anything that I ever used store bought. I love it because it is completely non-toxic, all-natural, super powered and basically costs pennies to make. My tub honestly sparkles after using this cleaner. Place all the ingredients except the vinegar in a clean jar and mix well. Add the vinegar a small amount at a time, it will foam a little bit. Store with a lid on and a label. If you have a tub brush put paste as need on the brush and scrub. Do you make your household cleaners homemade? What do you make? I can now honestly say that I have not washed my hair since October 9th. Yep, you read that sentence right, it has been three months since I decided to jump on the “no-poo” train. October 9th is the same day sweet Piper girl had her surgery and it was also the day that I decided that if I was going to be in the hospital for a week anyway I wouldn’t care if my hair was a little greasy. Do you want to know what inspired this drastic change? I have been struggling with dry scalp for most of my life. My head itches on a regular basis and I have to change the type of shampoo that I am using ALL the time. And, most the time my frugal self can’t stand to buy a new bottle of shampoo before the old bottle is finished s0 I get obsessed with seeing the bottle to the bottom. Sometimes, I toss the bottle under the sink to wait until later, but then I have so many bottles under the sink waiting for that day when I pull them back out again and hope that they won’t irritate my scalp it seems a little ridiculous. Today has been a tragic day. My grandfather passed away in his sleep last night and though he had a very long life I have carried the grief of his passing all day. Memories of years past have flashed through my mind and my heart is heavy with prayers pleading that he is now in the arms of Jesus. The use of parsley is popular among cooks, but it is also popular among herbalist for its vast nutritional value. The Latin name for Parsley root and herb is Petroselinum crispum. For more than 2,000 years parsley has been used for digestive disorders, malnourishment, kidney and liver problems, menstrual irregularities, and for blood purification. Amazingly this common herb is rich in anti-oxidants, contains minerals, beta-carotene, chlorophyll, iron, calcium, folic acid, manganese, B-vitamins, A, C, E, and K.
Did you know that family traditions make a family stronger? They do, having family traditions give children a sense of worth, belonging, and well- being. It helps them to identify with family values and enjoy being part of your family unit. Ever since we began having children I have gone back and forth about what OUR most valuable and meaningful family traditions could be. I have taken notes over the years as I have watched families grow stronger and bond deeper through their own traditions. I have attempted to discover what would be beneficial to help our children thrive when it comes to bonding to each other and loving each other deeply as a family. It is amazing to me that something so common and often known as a “weed” can also contain so much nutrition. God knew what he was doing when he provided plants for both people and animals to enjoy. 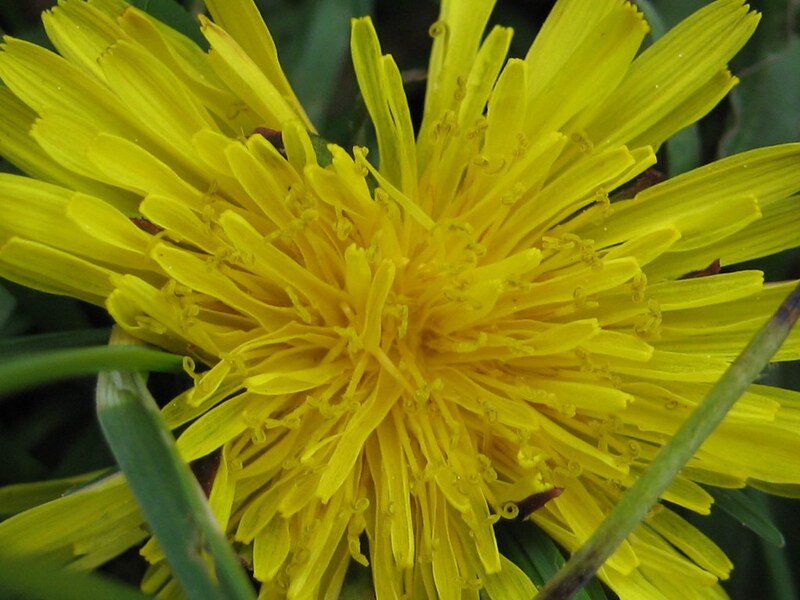 Just because eating Dandelion herb and root may not be popular in the United States to consume it doesn’t mean that it shouldn’t be enjoyed in order to strengthen the terrain of all who decide to enjoy its robust properties. There is nothing that screams fall quite like pumpkin spice and to continue on with the fall celebration you are going to love this joint healthy pumpkin spice custard recipe! I have posted many pumpkin recipes lately, swooned over pumpkin recipes, ate lots of pumpkin, made a pumpkin spice latte an almost daily addiction and I’m convinced that God knew he was creating a good thing when he came up with the pumpkin. In this crazy season with my daughter’s craniosynostis surgery I believe that I have found almost all pumpkin spice recipes to be that kind of comfort food that I just want to be left with to savor and enjoy as the spices dance in my mouth. These recipes become a stress relief for me and a break from the craziness of a child having a major surgery and barely sleeping. Today as I reflect on yesterday’s presidential election I realize that no man that runs for office can truly give us the hope that we so deeply need. My deepest desire is to teach my children of the hope that is ours in Christ alone and that they may use it to touch those in their sphere of influence for eternity. I penned this words in hope that my husband and I both will be able to teach our children how to live a deep and abandoned passion for thee things that really matter most, to not pass their responsibly to honor God and love people to anyone else and to be the people that God truly created them to be. It is time to trust our future in the hands of God and not man. No matter who might be in the White House God remains on His glorious throne. “Do not put your trust in princes, in mortal men who can not save.” Psalm 146:3. There is a hopeless feeling that seems to be resonating in many hearts and I believe that many people, no matter which candidate we have voted for have mistaken government for a hope that is only meant for God. Don’t put your hope in the government to save, only Christ can save us. To my babies, you are called to meet the needs of the poor and the unfortunate and not to leave it in the hands of anyone else. “If anyone has material possessions and sees his brother in need but has no pity on him, how can the love of God be in him? Dear children, let us not love with words or tongue but with actions and in truth.” 1 John 3:17-18 As believers in Christ, we are not to leave the widows hopeless. “Give proper recognition to those widows who are really in need.”1 Timothy 5:3 You children are called to be gracious to the orphans. “In you the orphan finds mercy.” Hosea 14:3 As lovers of God, the church is are called to give unconditionally, love unconditionally, and bless others with the incredible riches that we have been blessed with in Christ. Be the one who blesses others. Huge Healthy Living ebook Sale! 5 Days Only! For 5 days only, 27 prominent Healthy Living authors have joined together to bundle 34 of their most popular eBooks, valued at just over $300, for the incredibly low price of $29. That’s only $0.87 per book to gain inspiration, encouragement, and the practical resources you need for your own healthy lifestyle. Plus, receive $49 of additional FREE Bonuses, and be entered to win one of 3 great prizes.